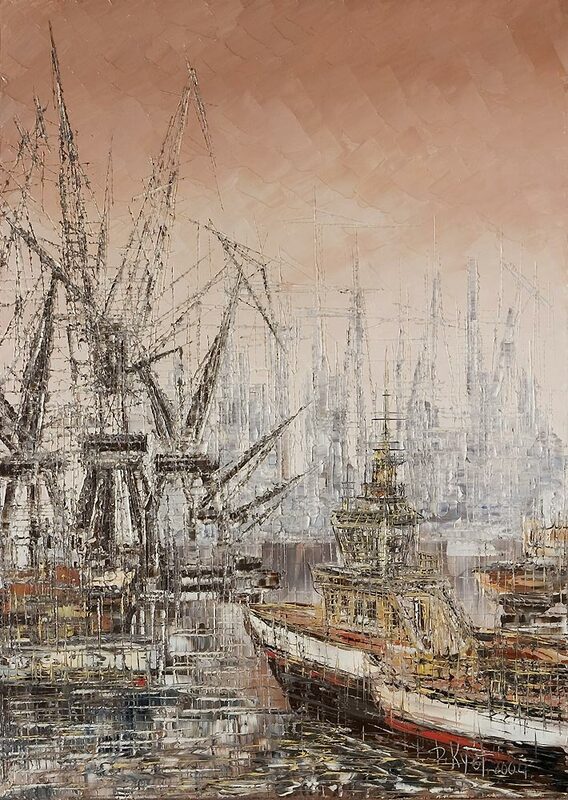 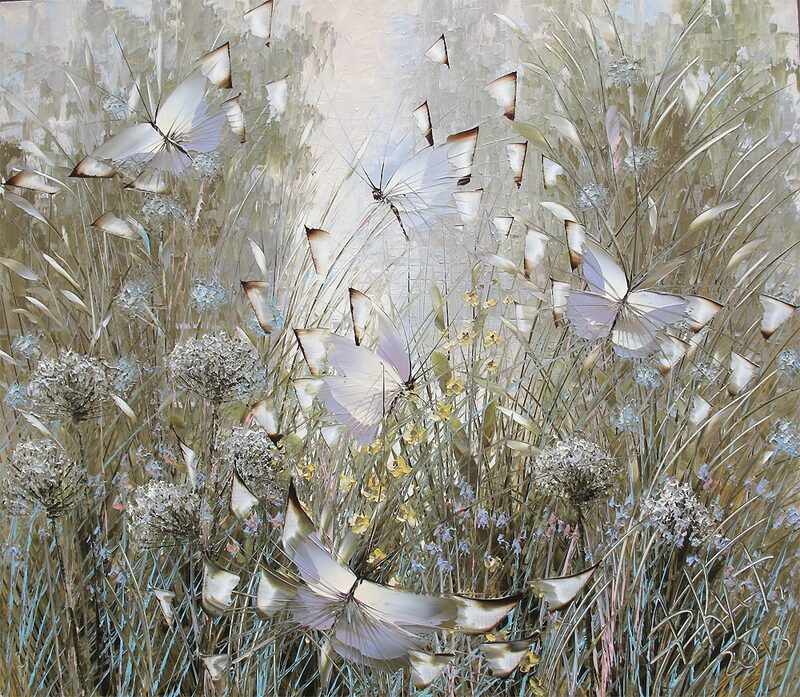 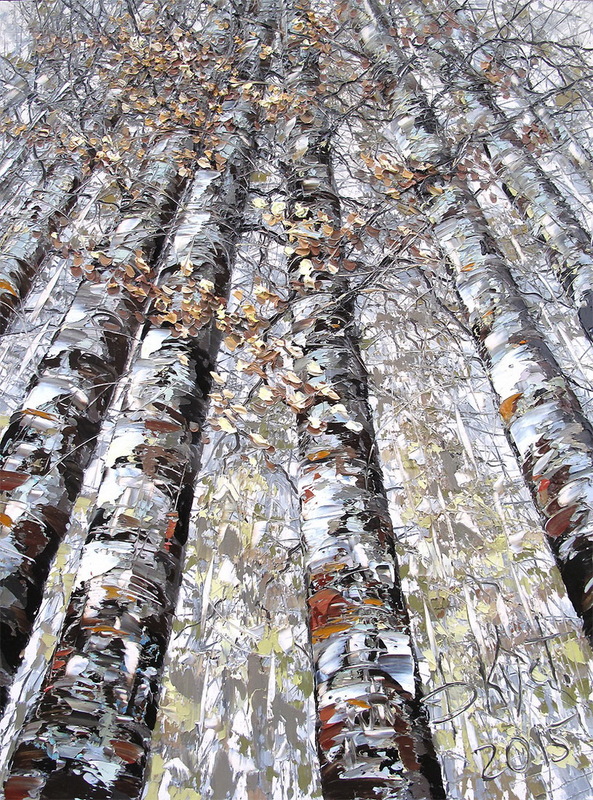 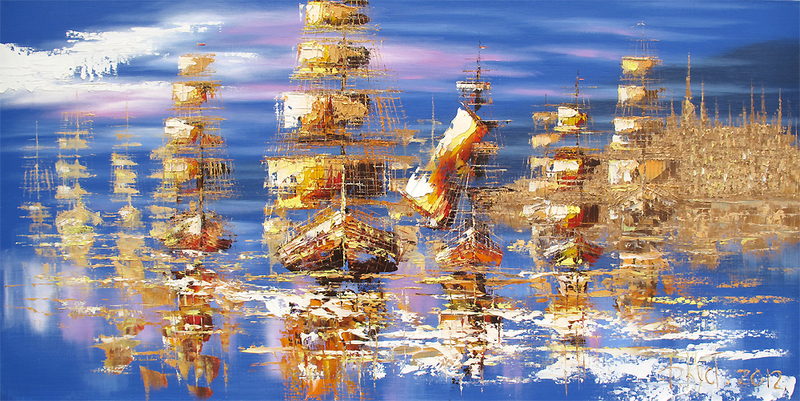 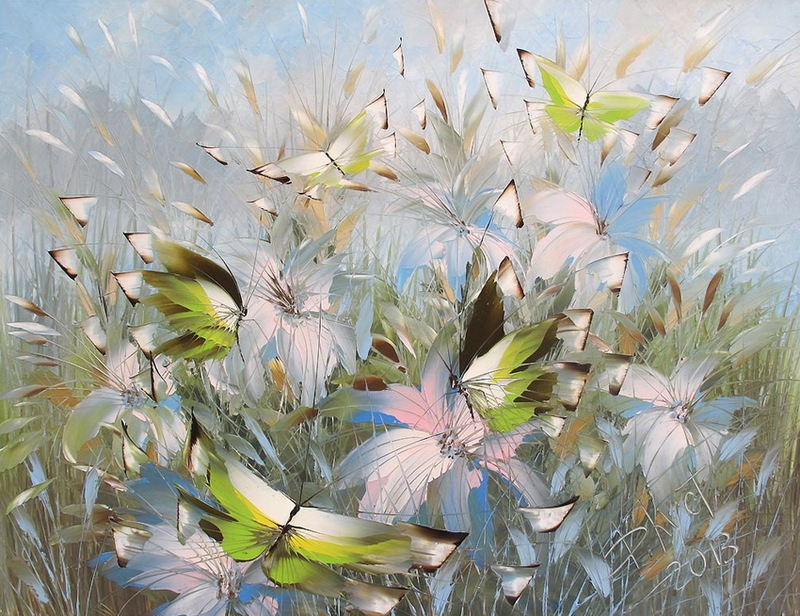 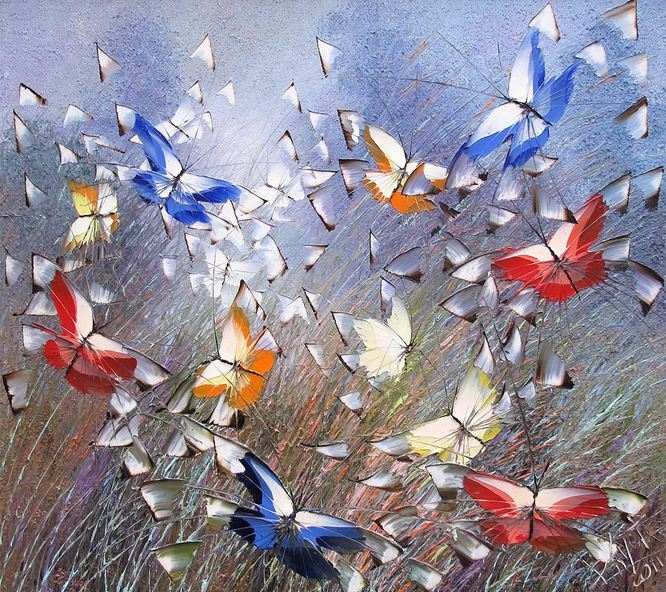 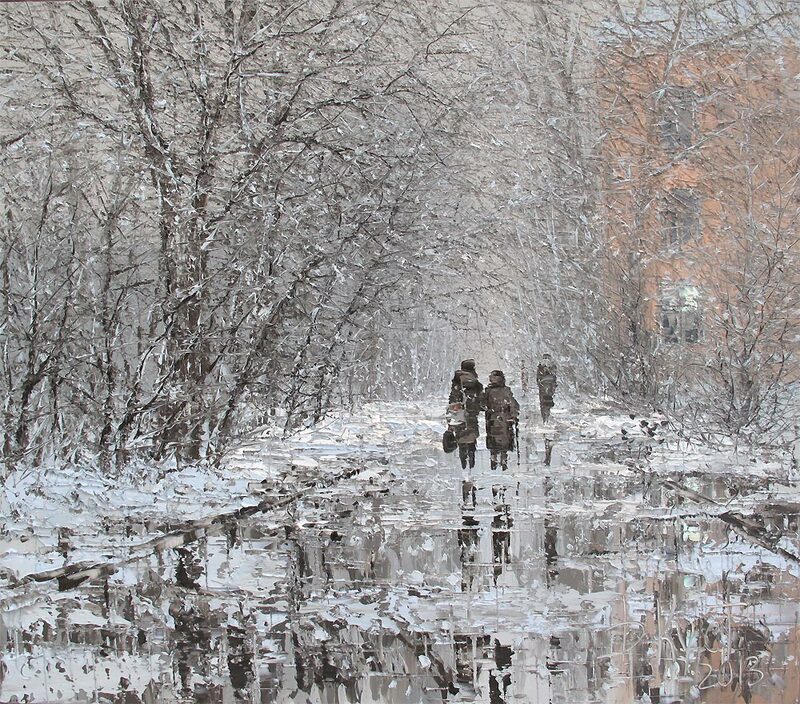 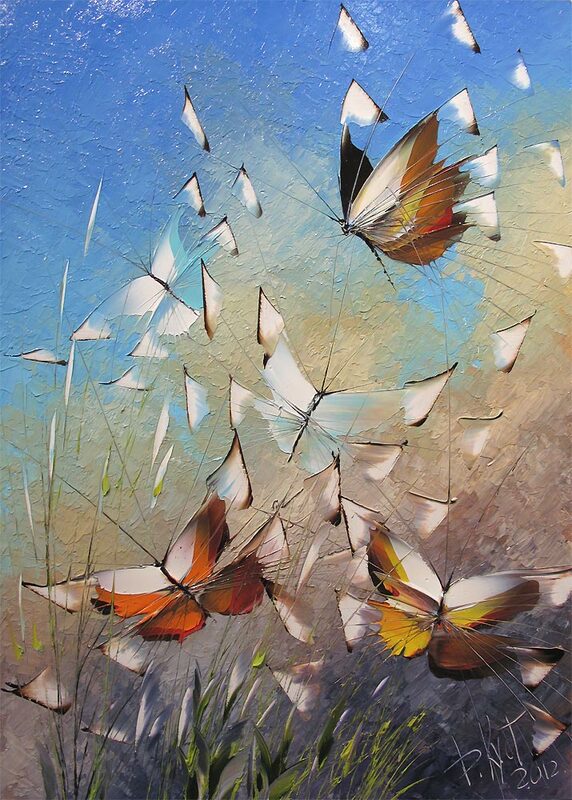 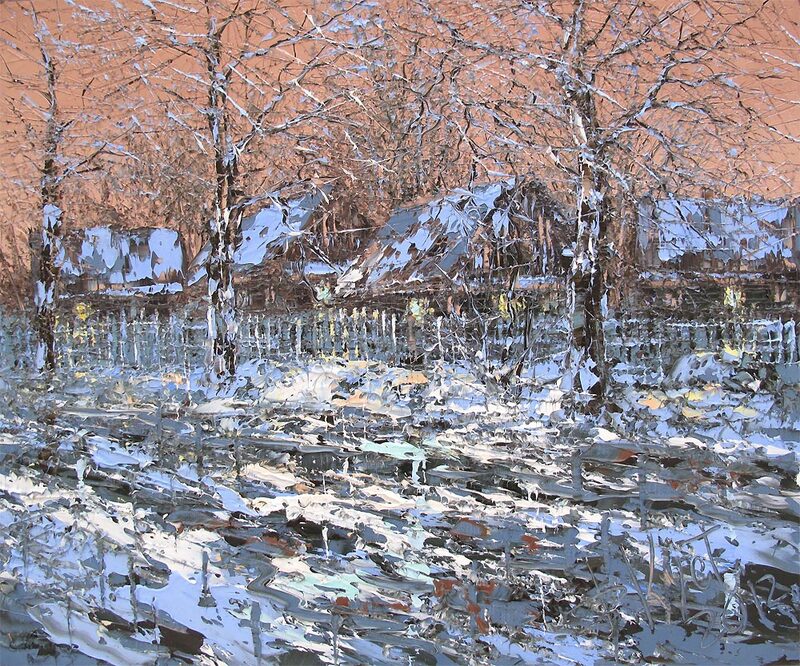 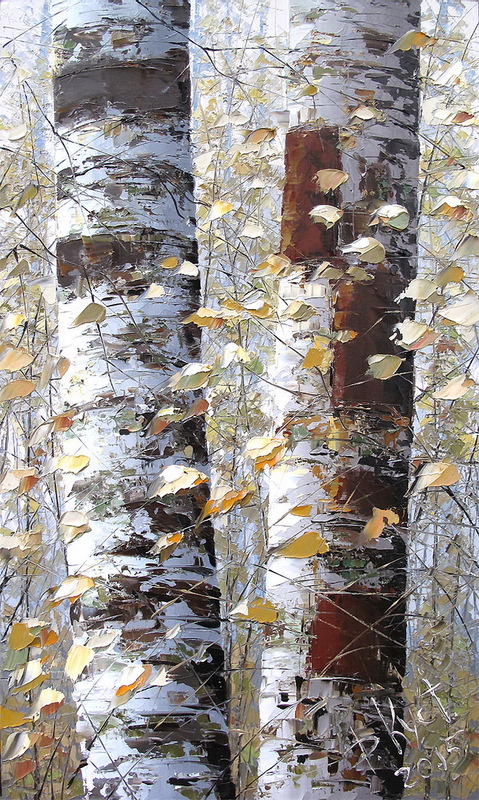 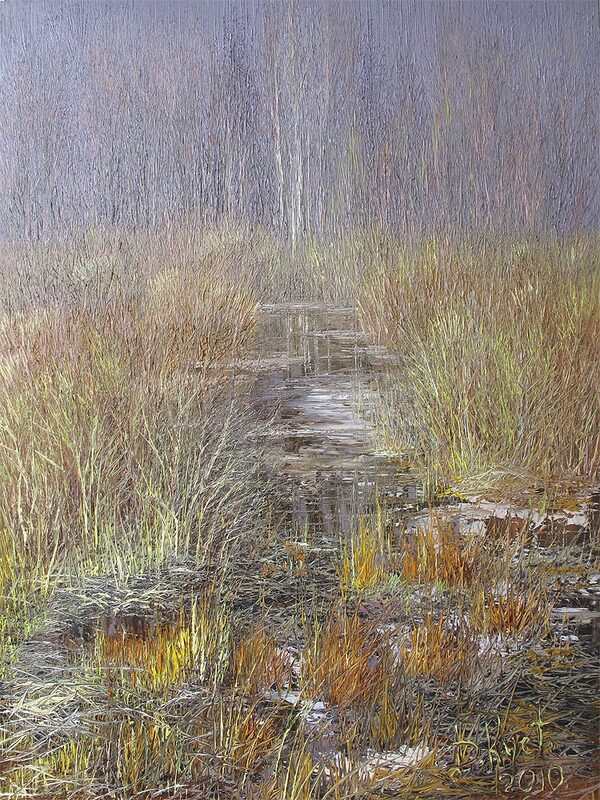 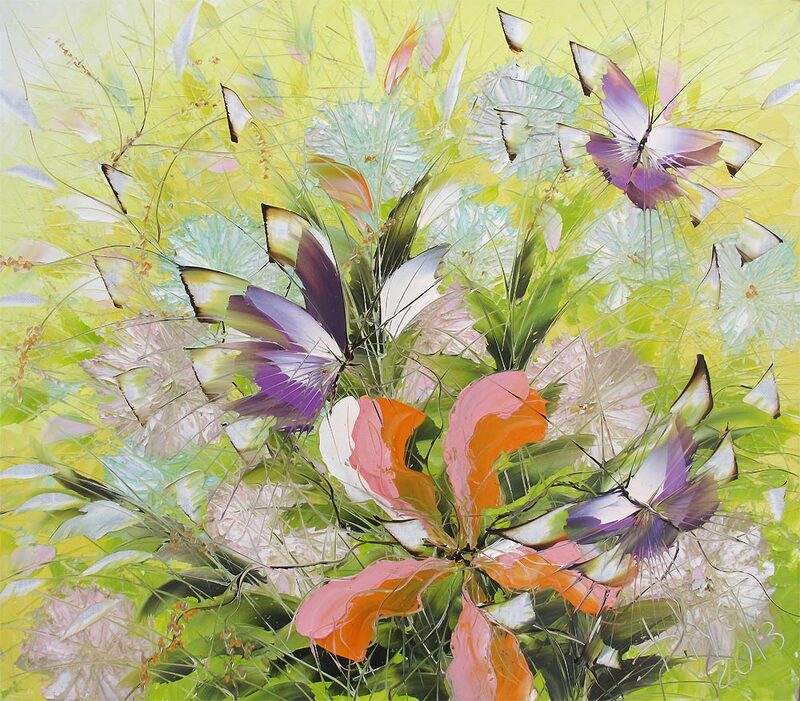 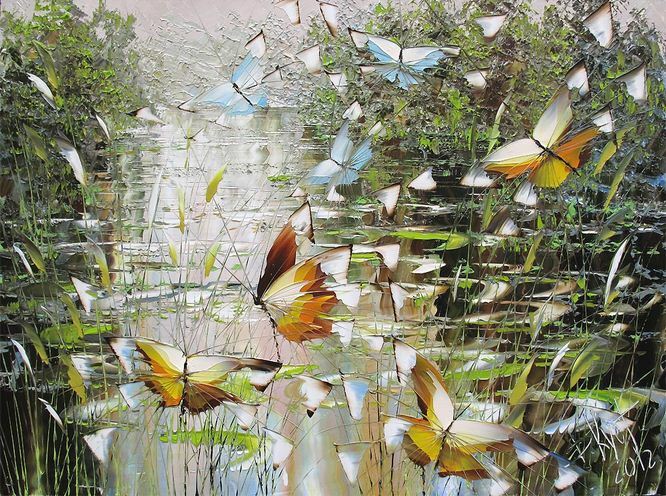 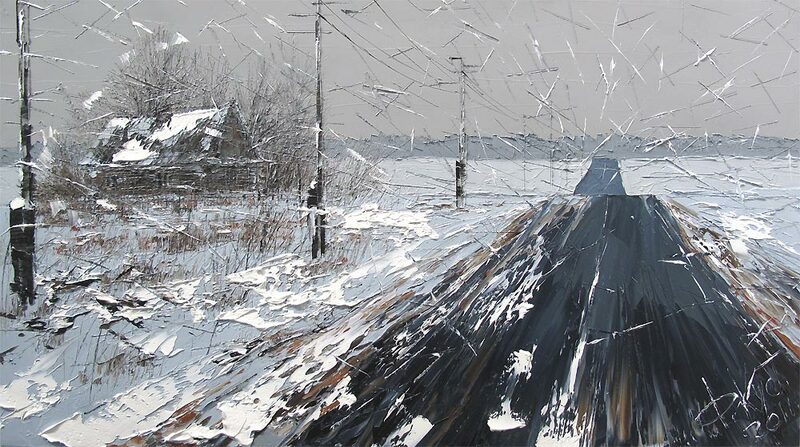 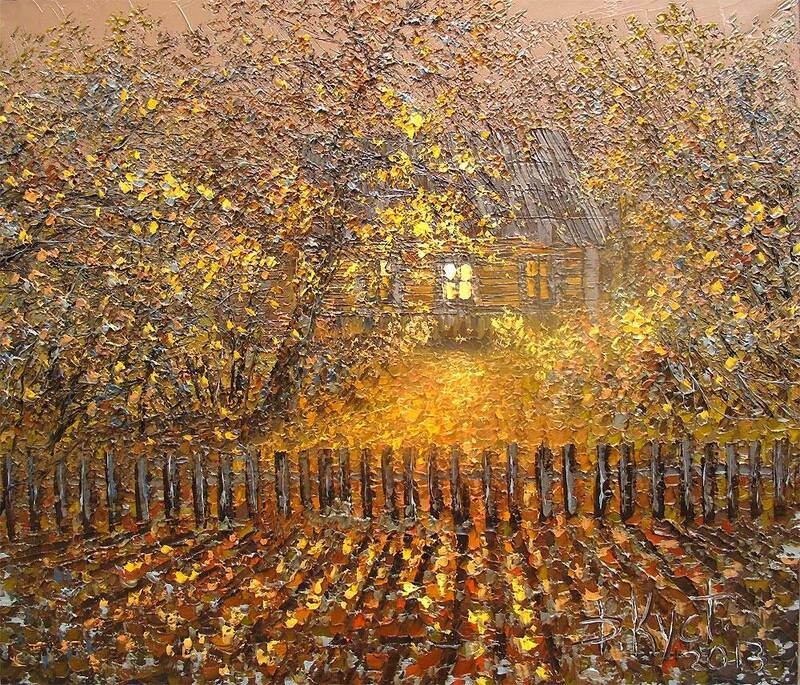 Dmitry Kustanovich /Дмитрий Кустанович is a Belarusian -born artist that currently resides in Saint-Petersburg, Russia. 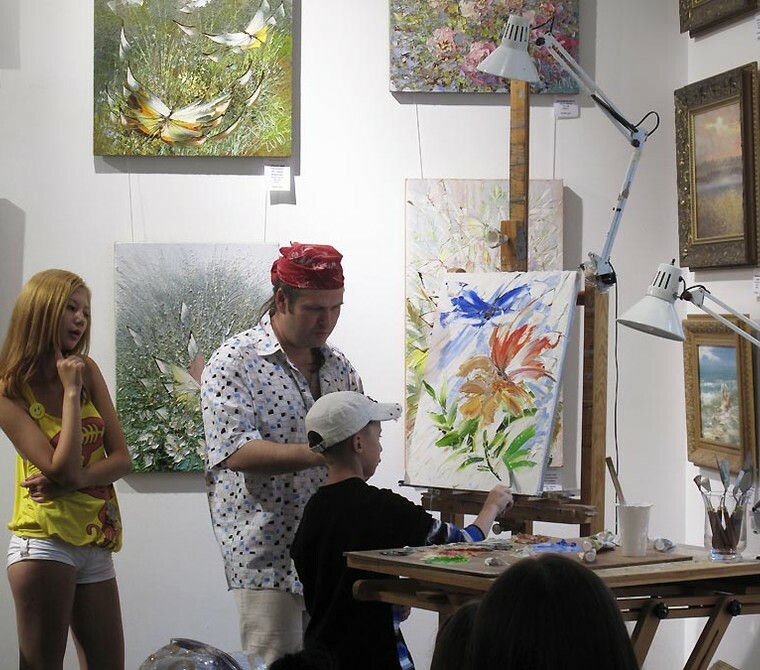 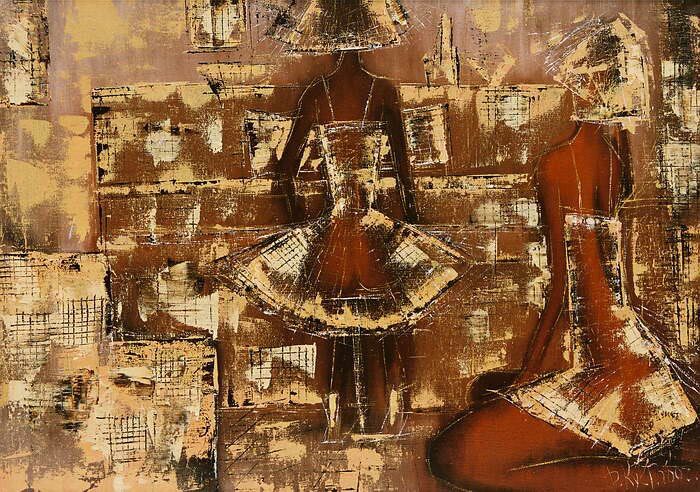 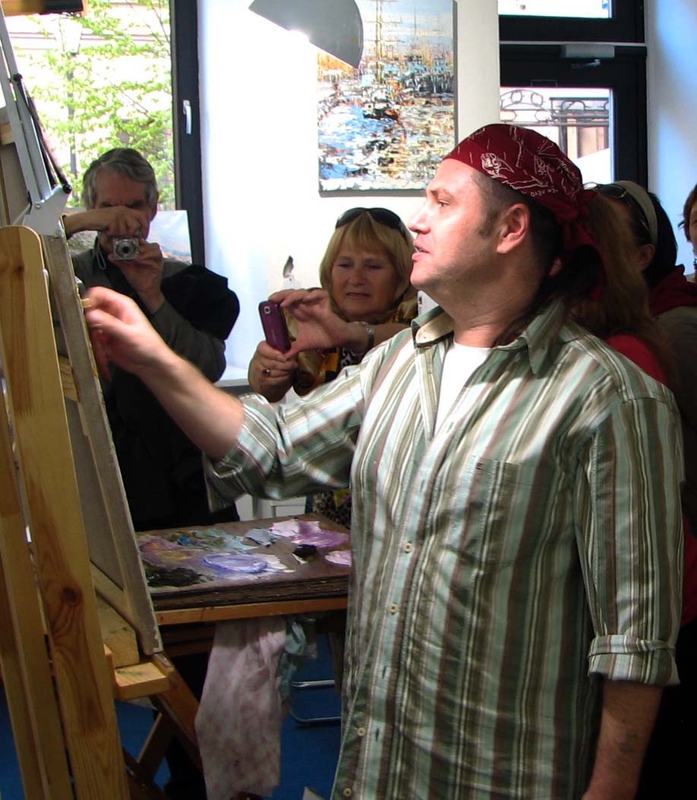 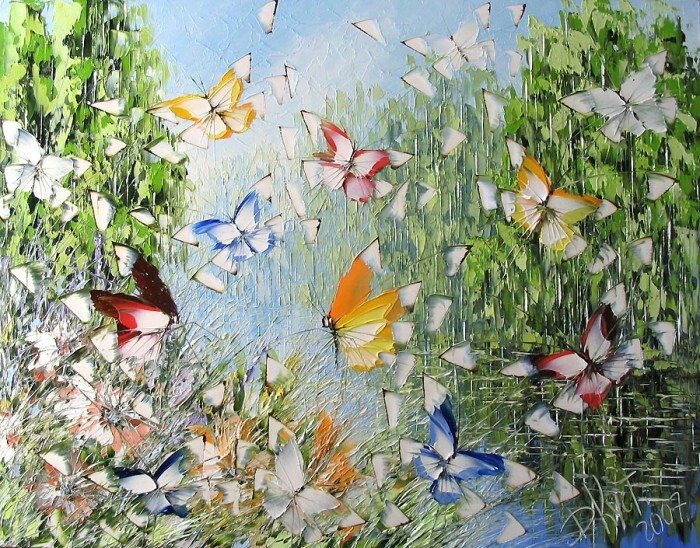 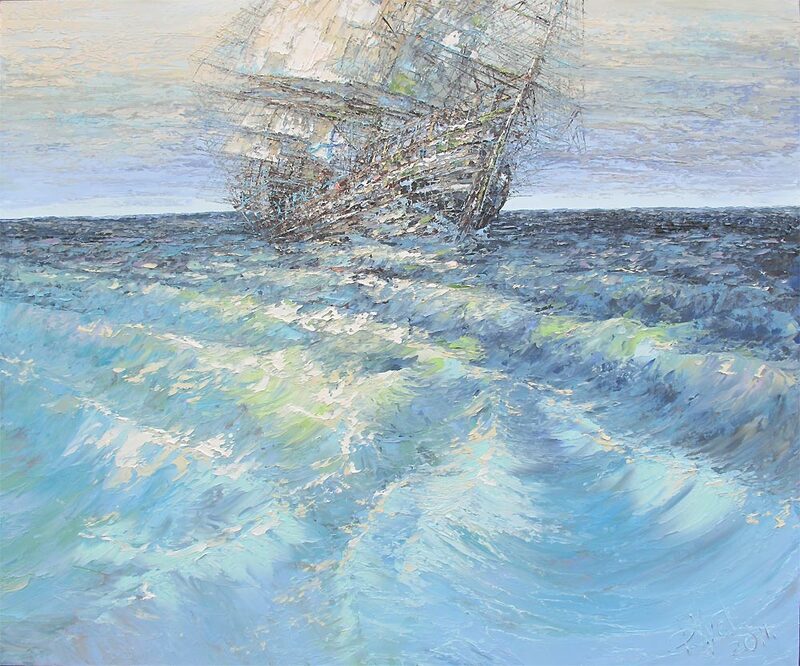 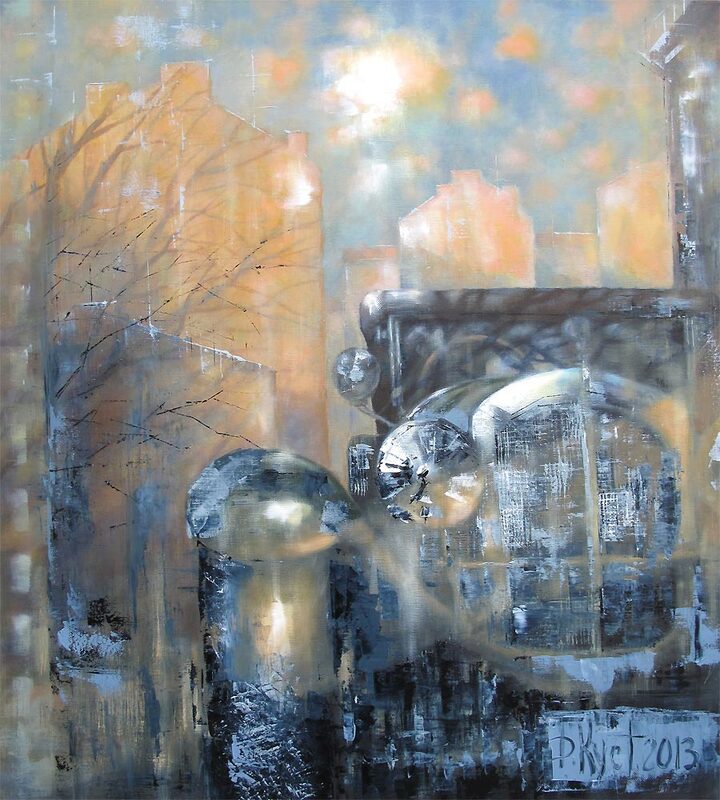 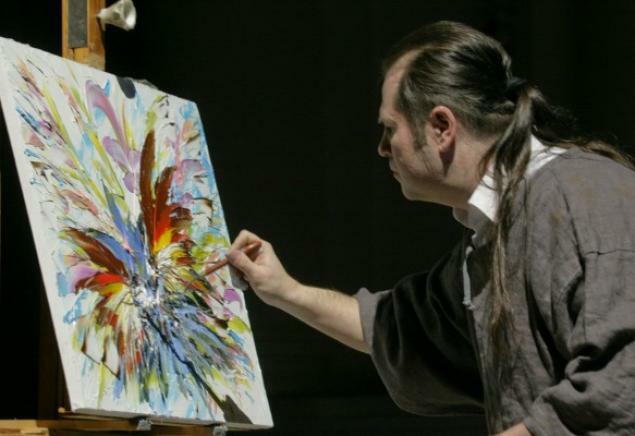 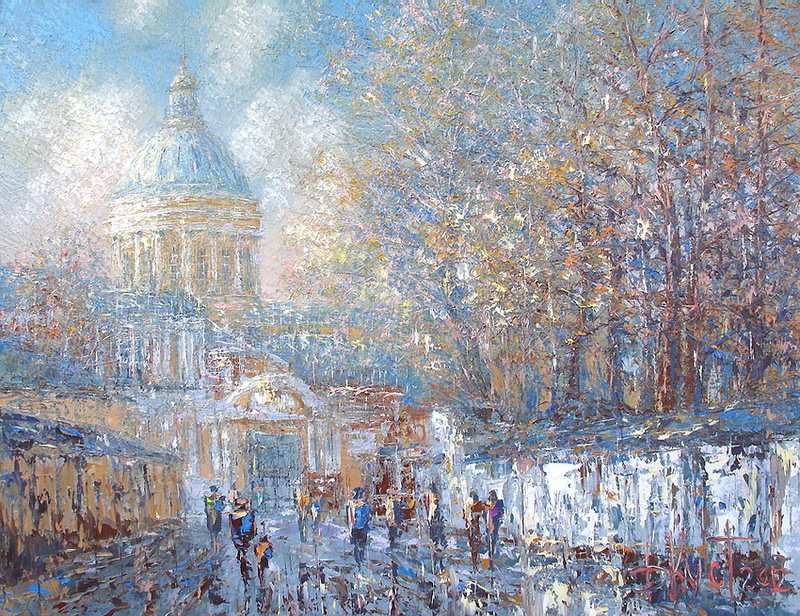 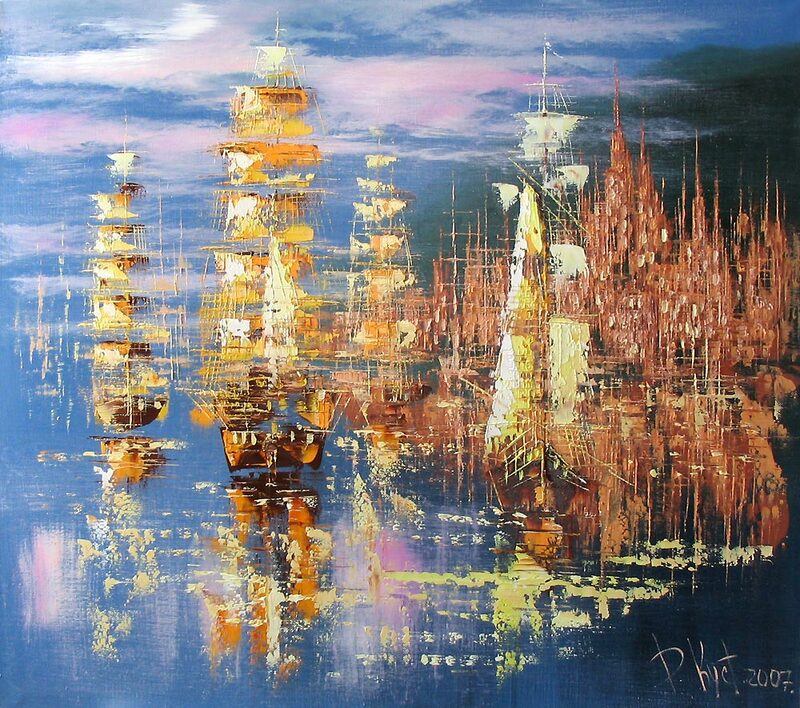 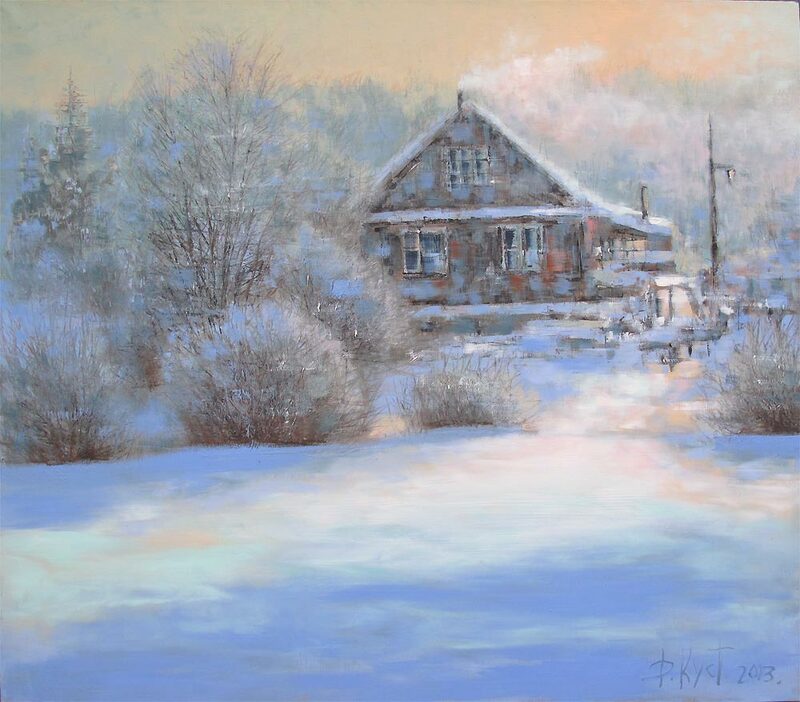 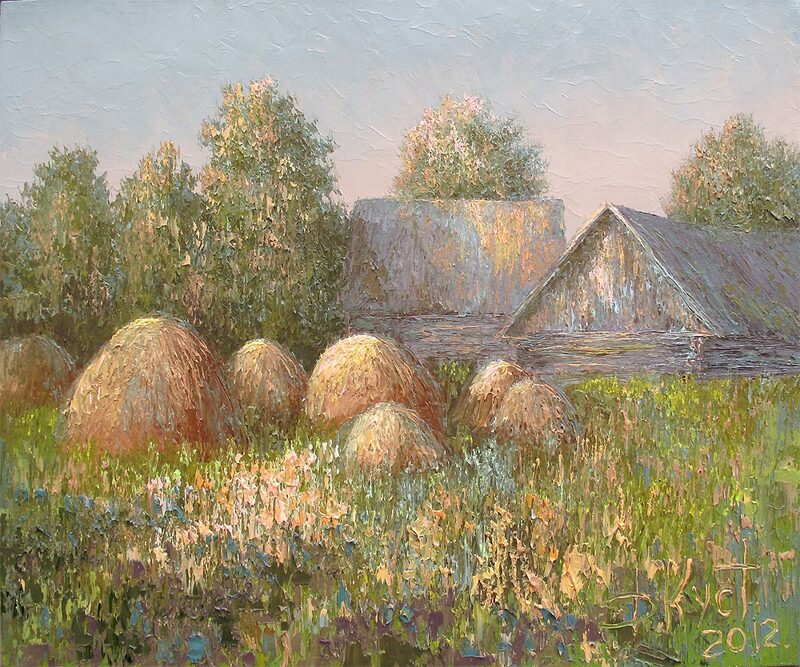 The technique has elements of the impressionism, expressionism, primitive art, conceptual art. 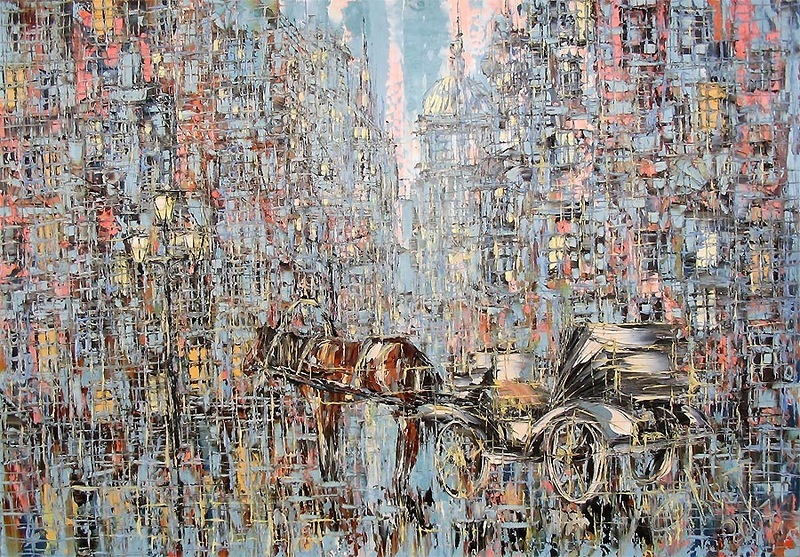 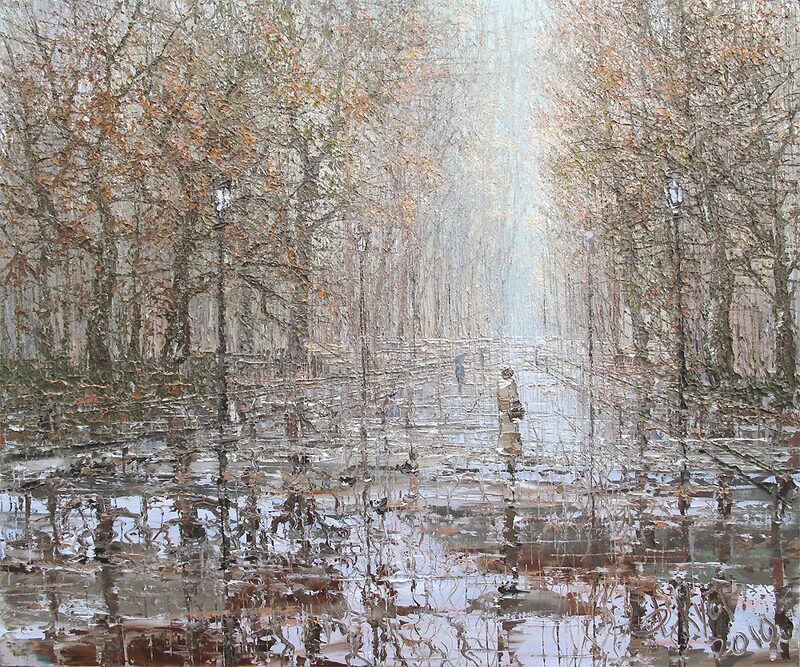 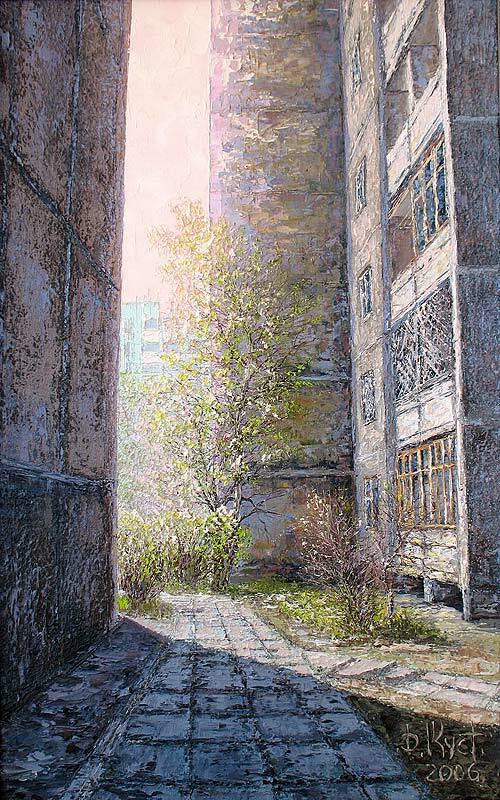 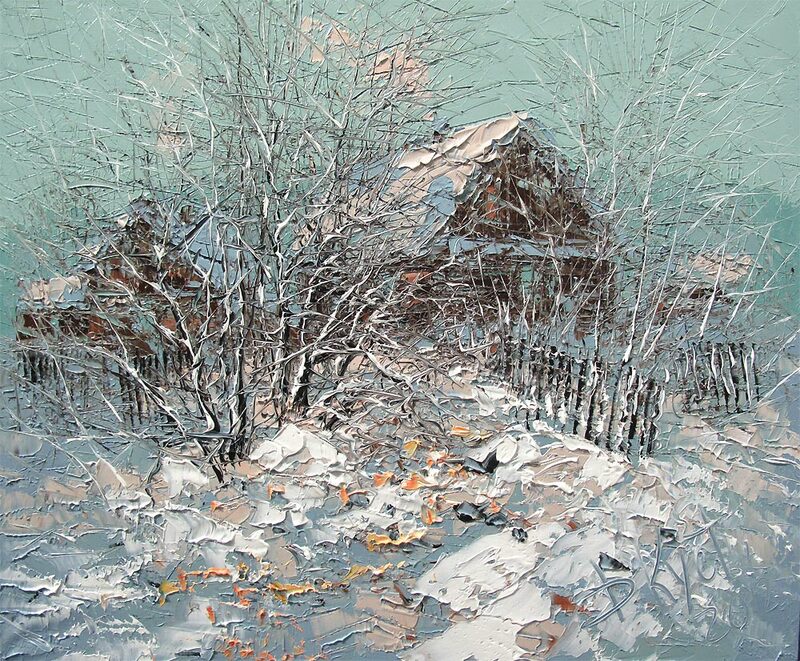 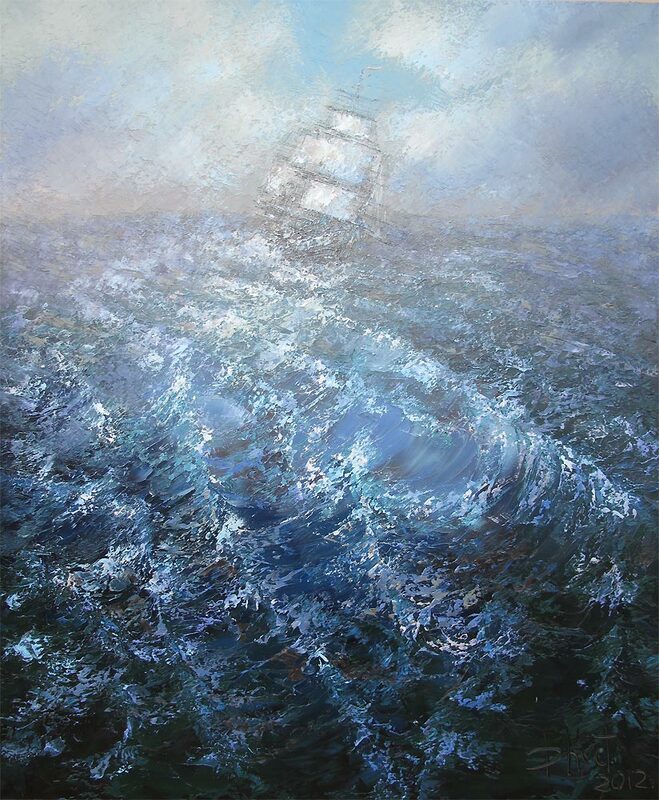 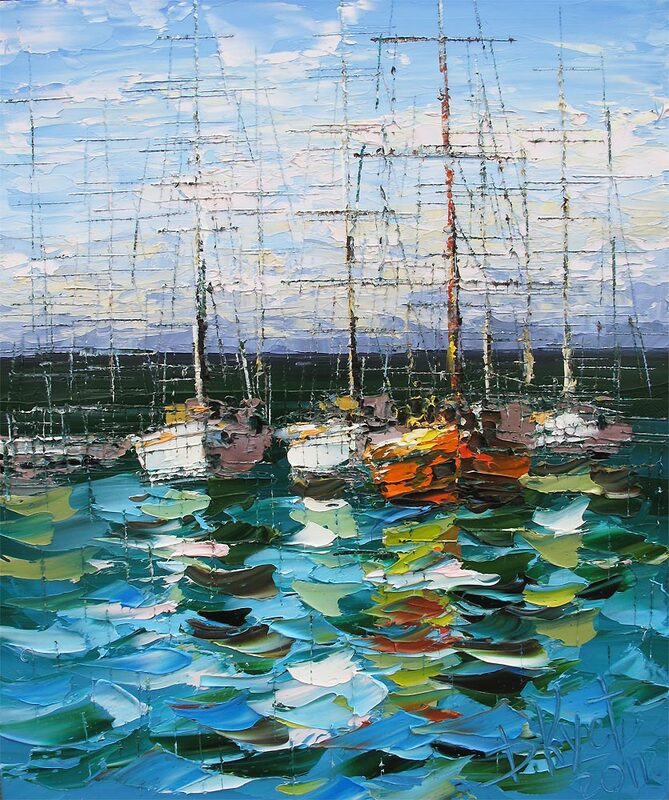 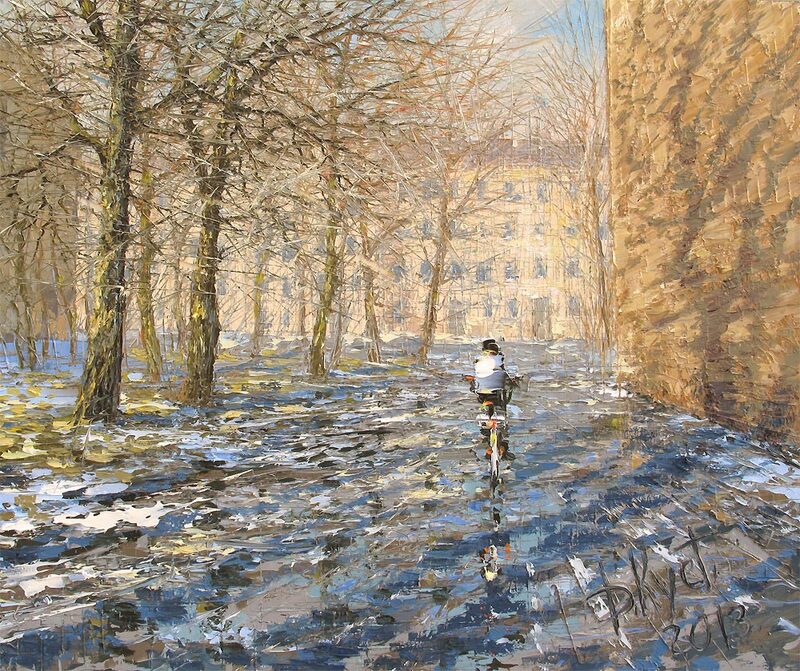 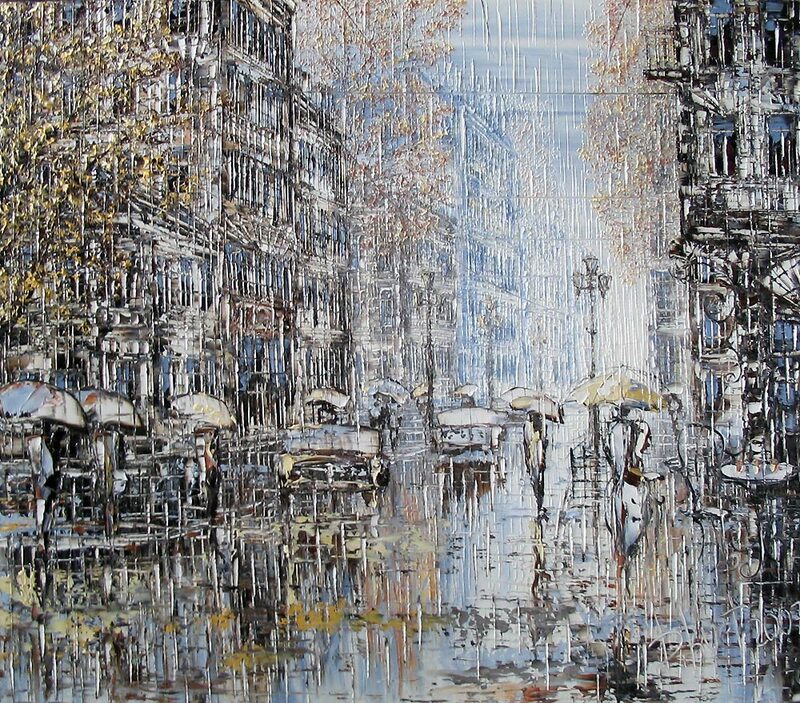 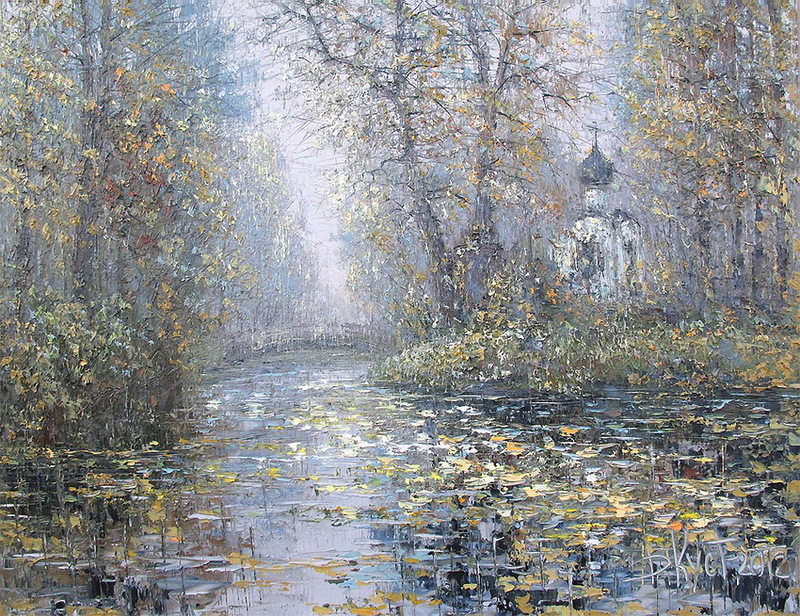 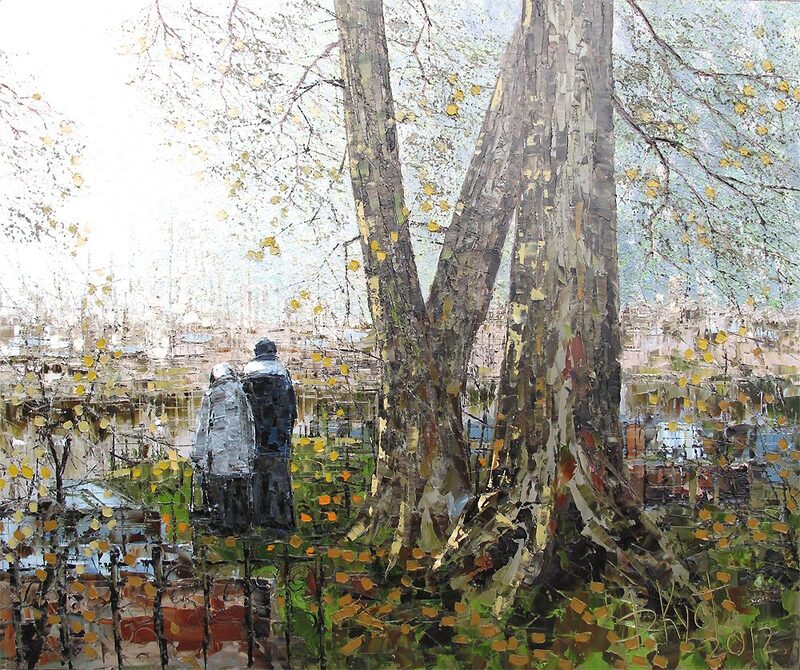 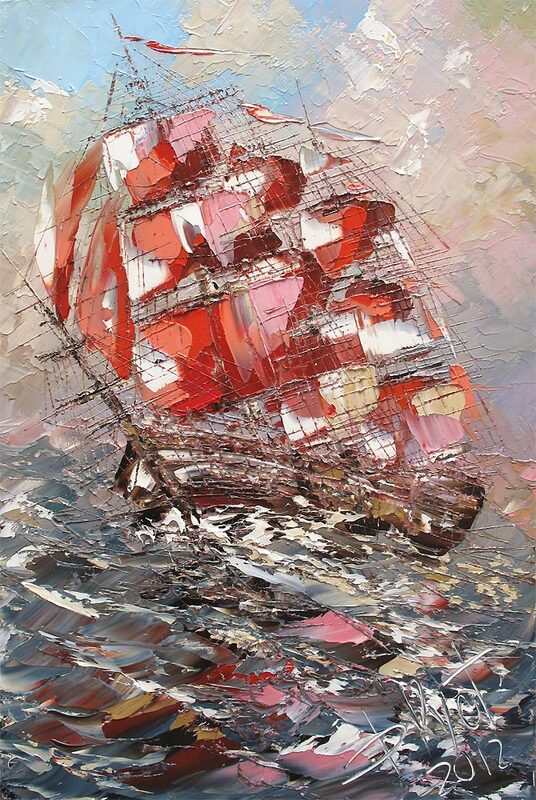 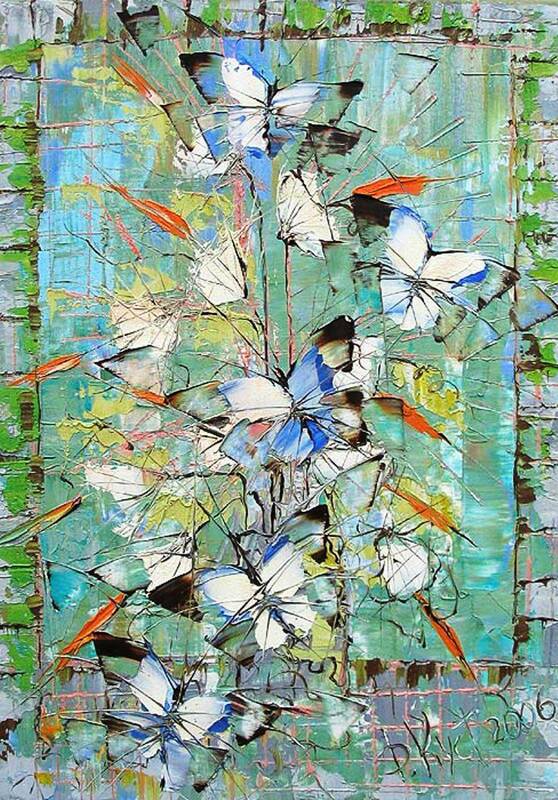 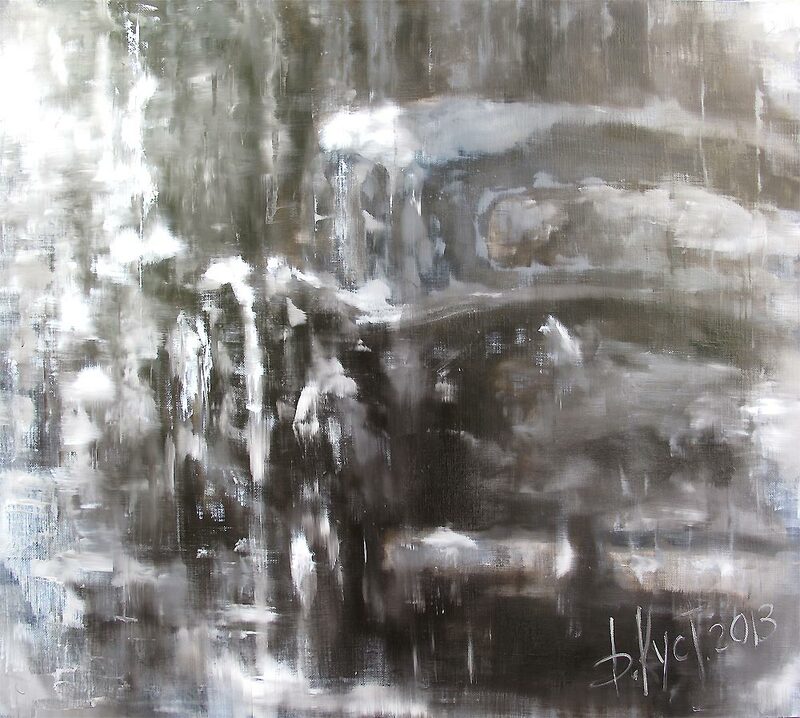 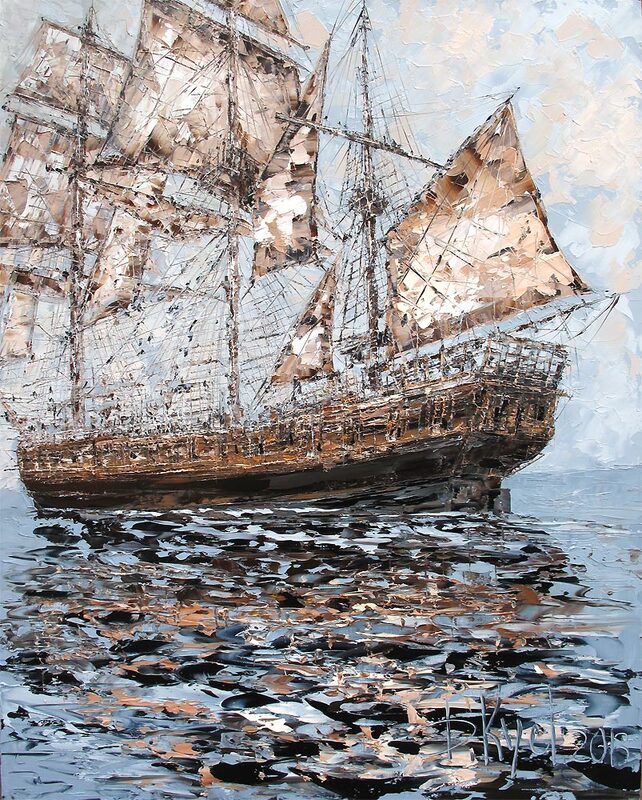 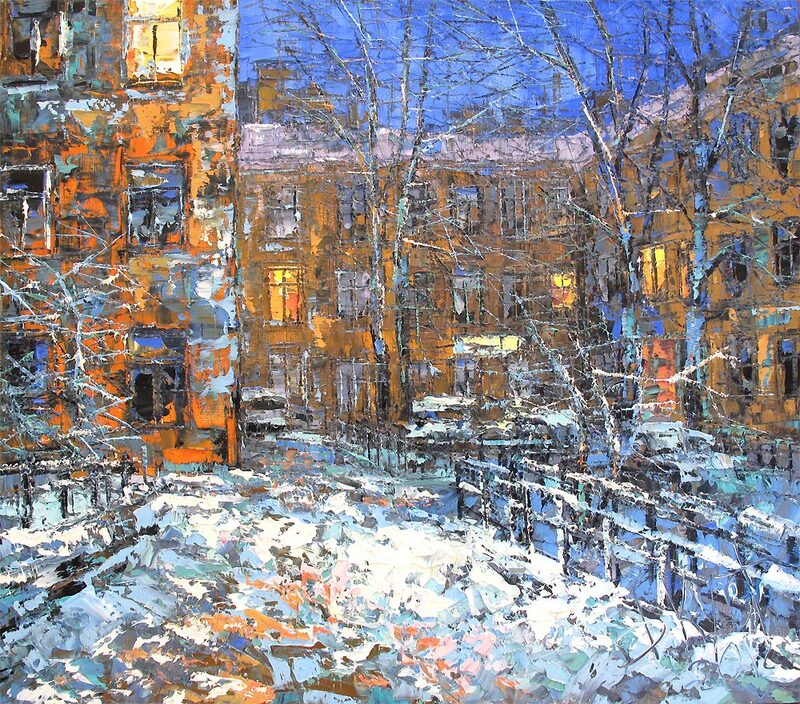 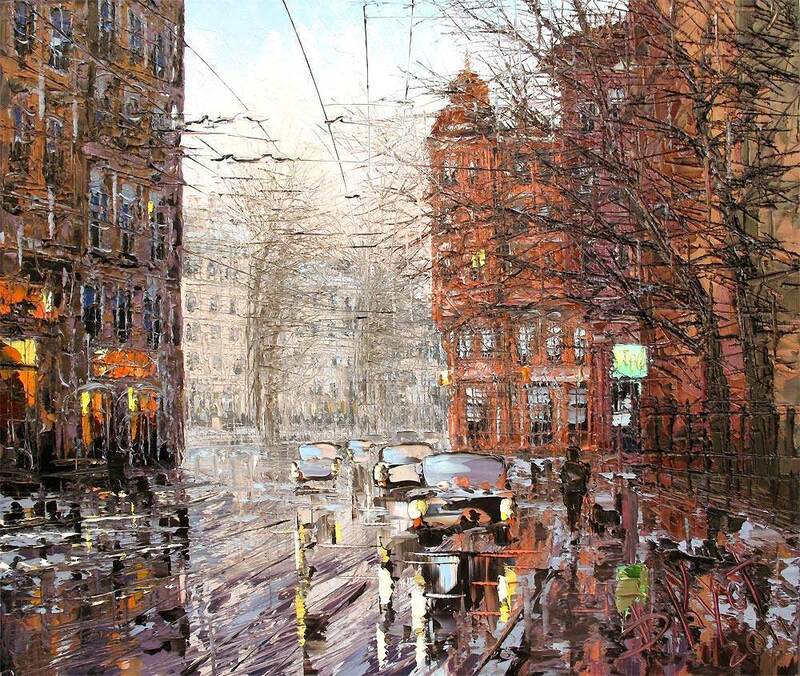 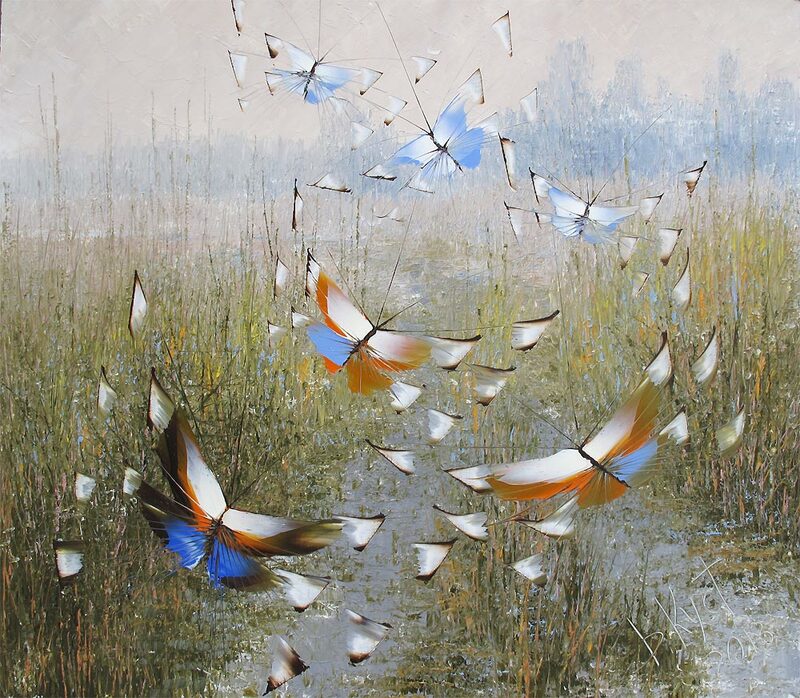 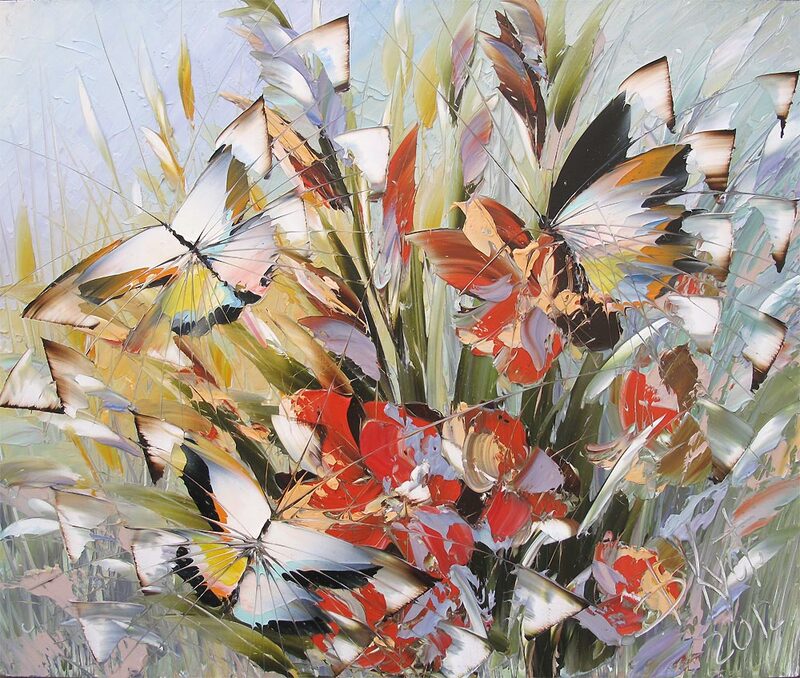 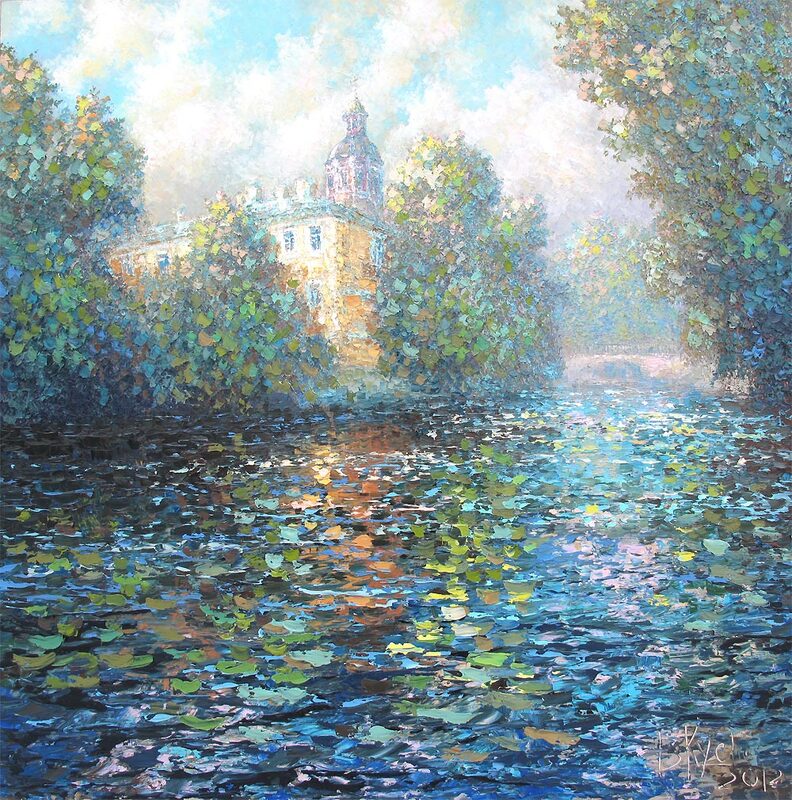 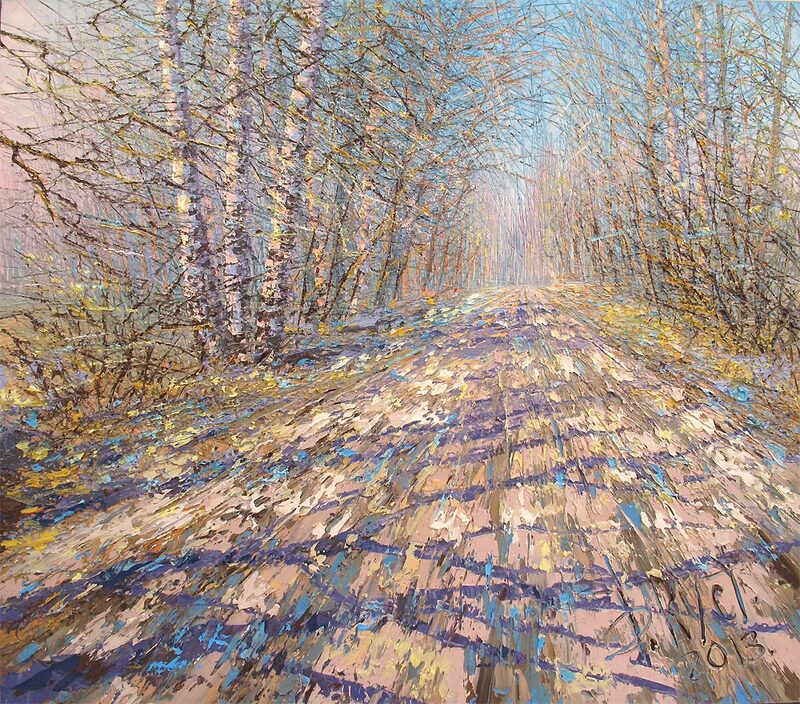 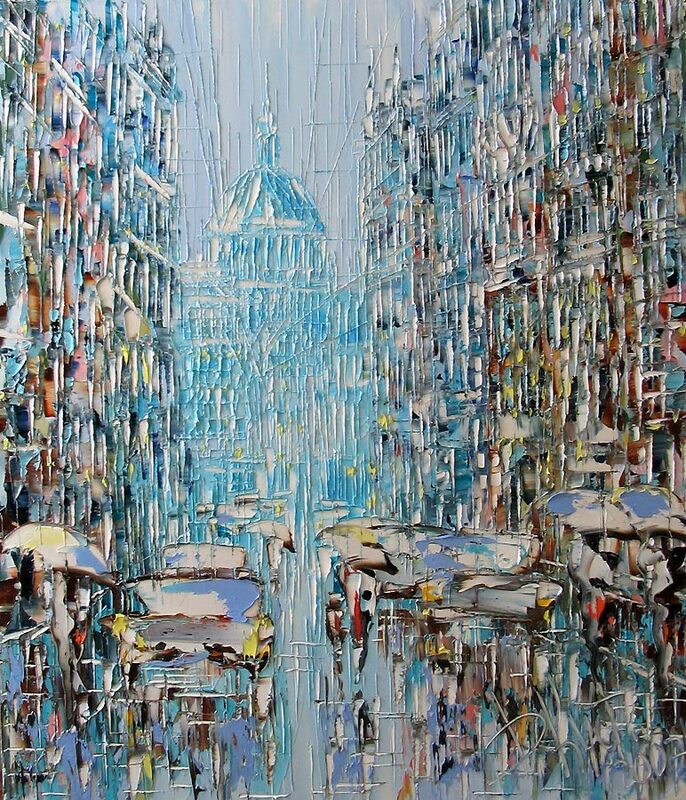 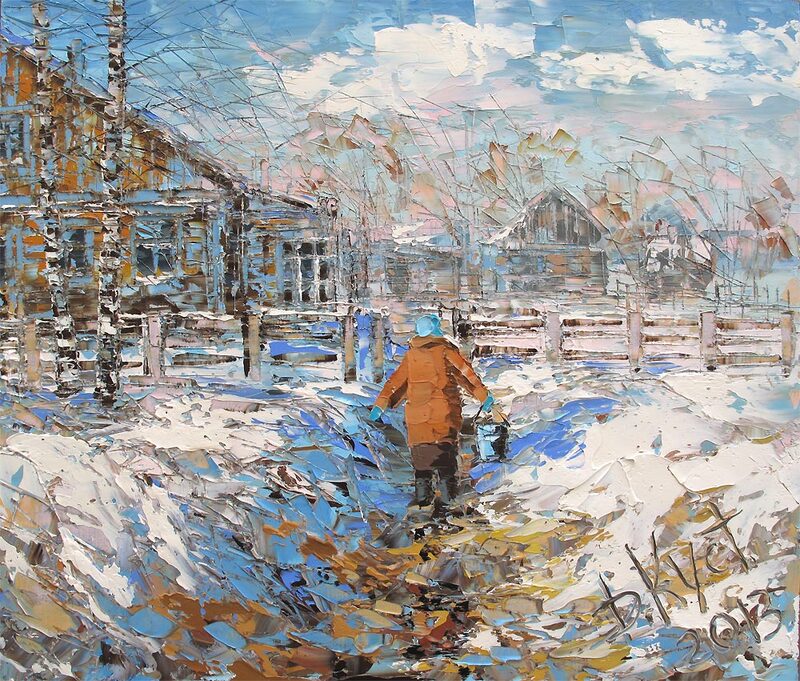 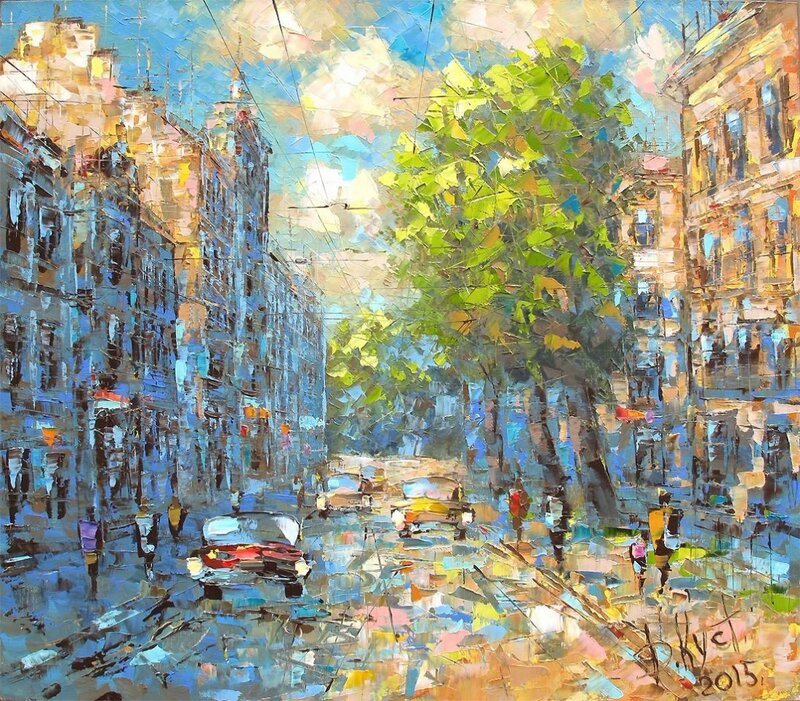 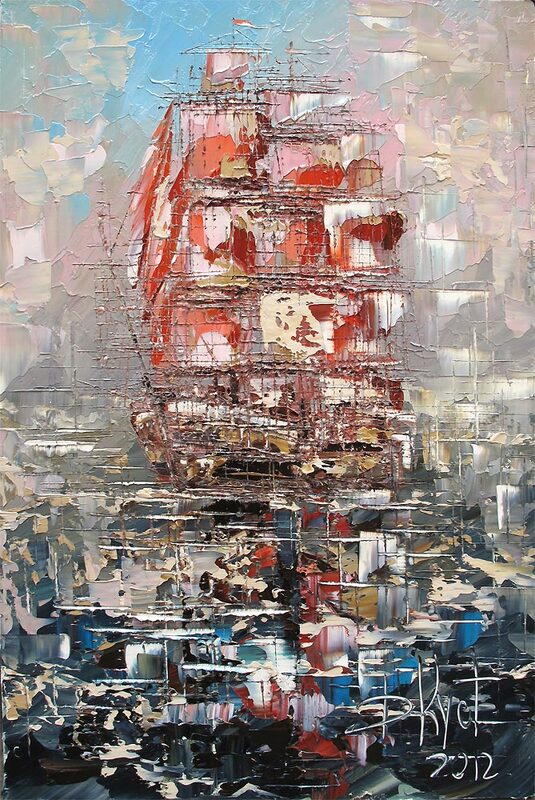 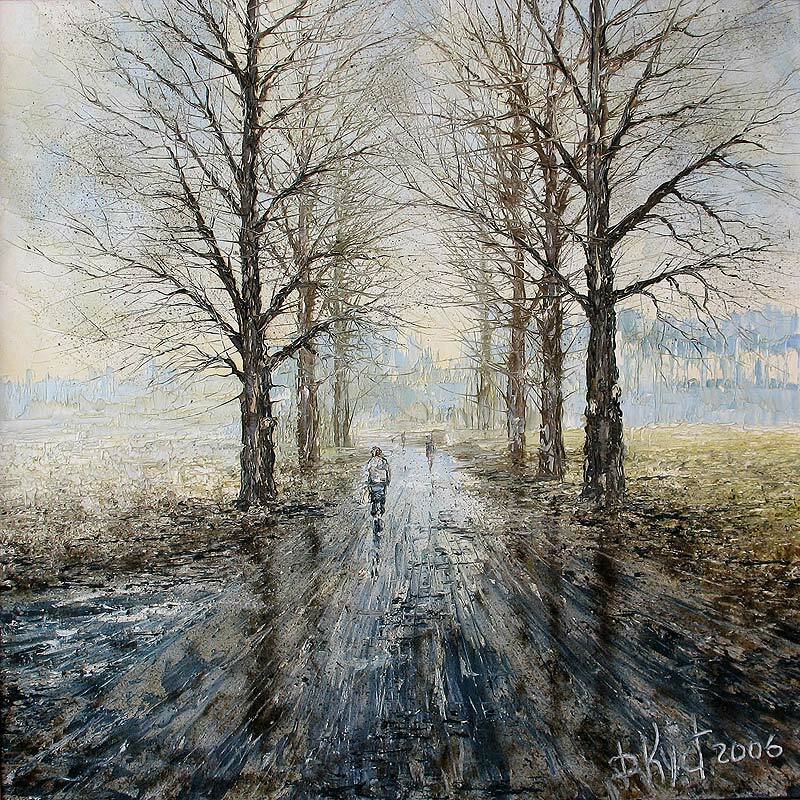 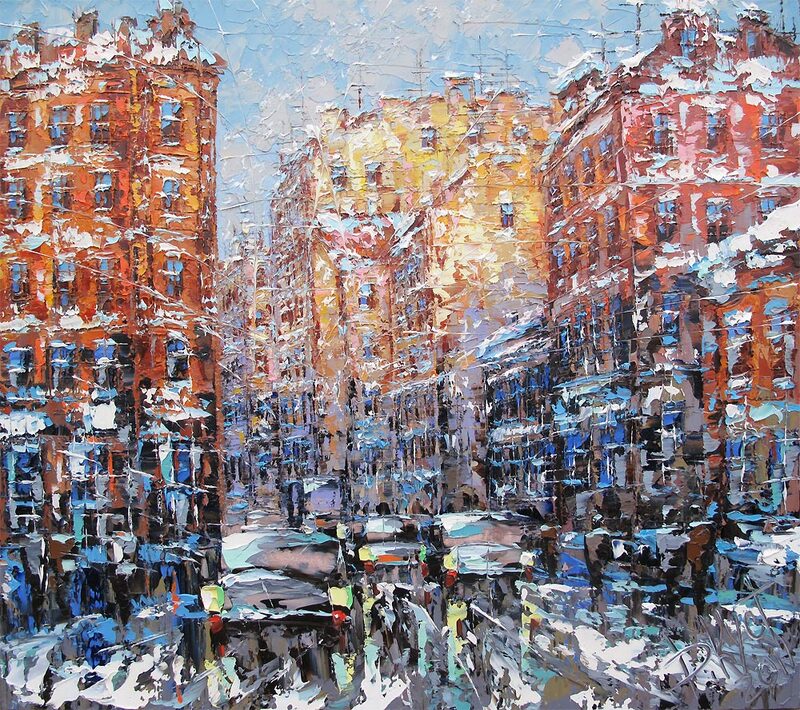 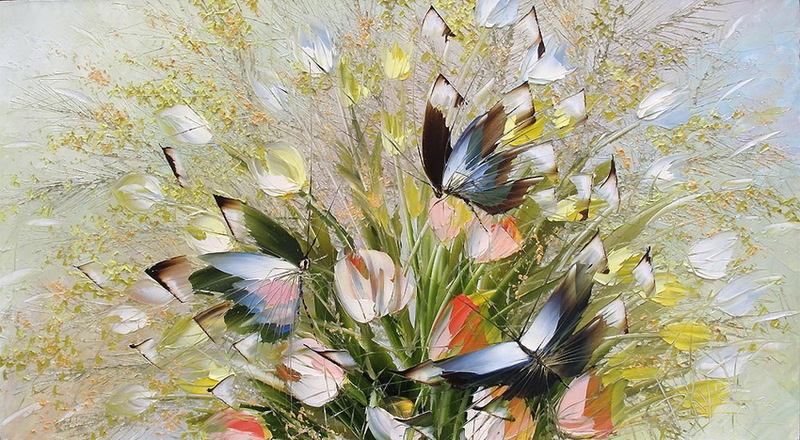 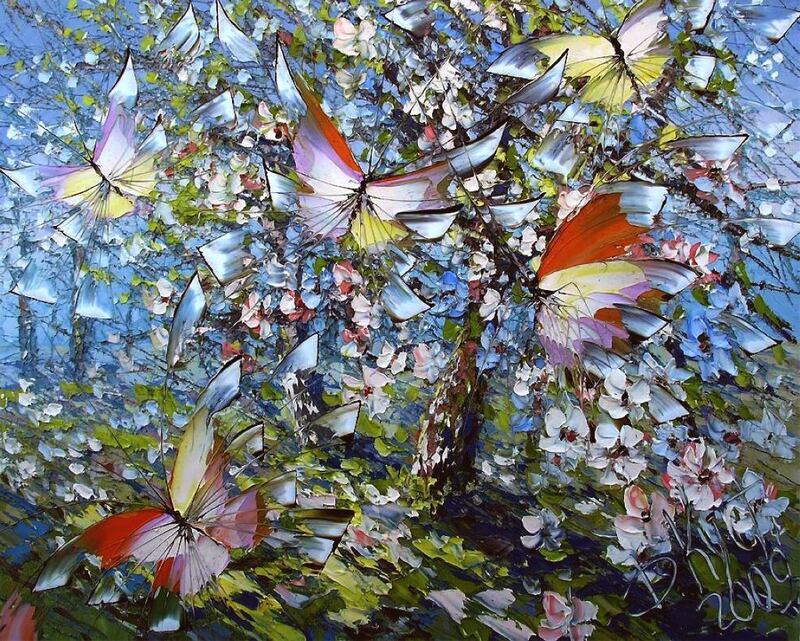 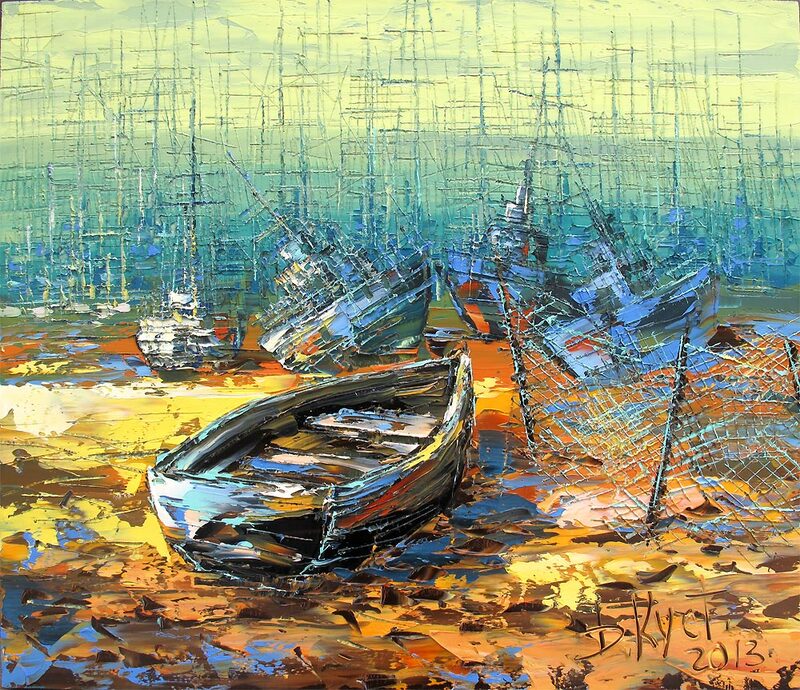 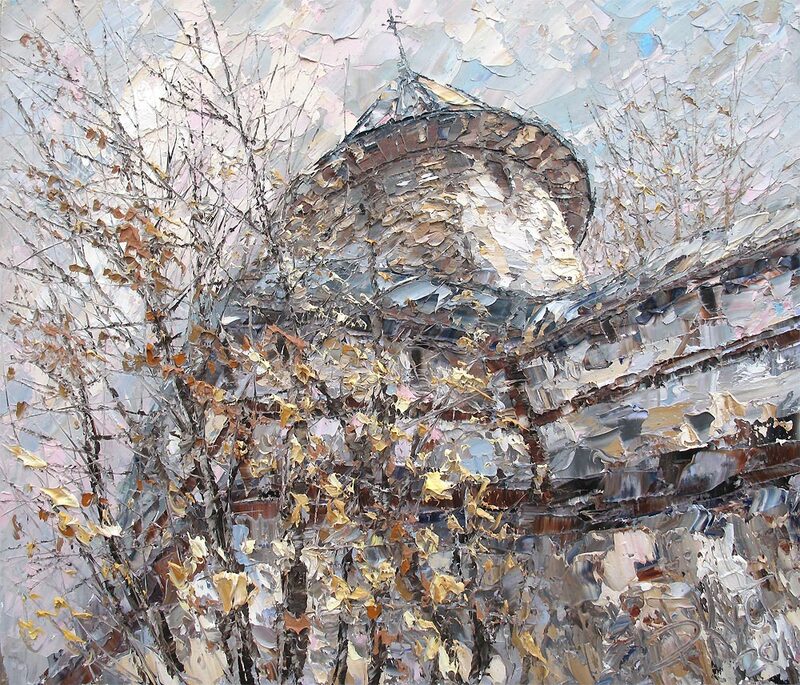 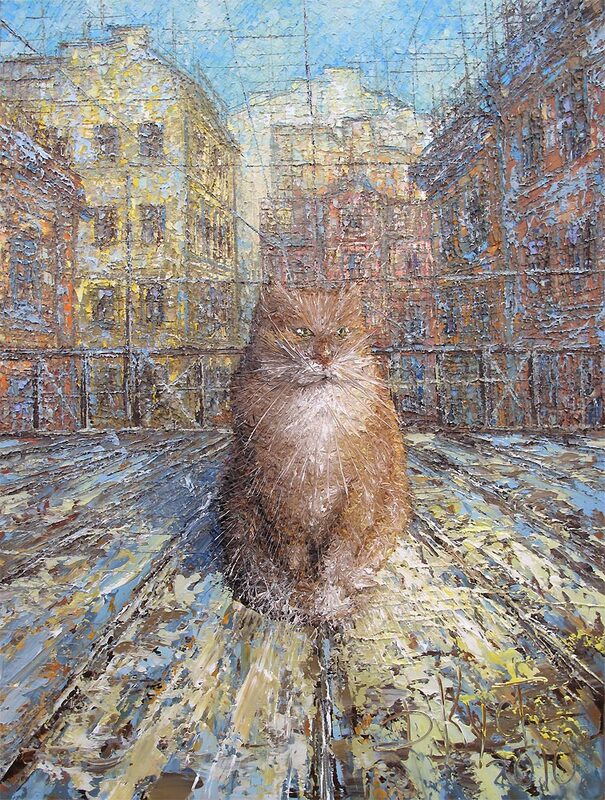 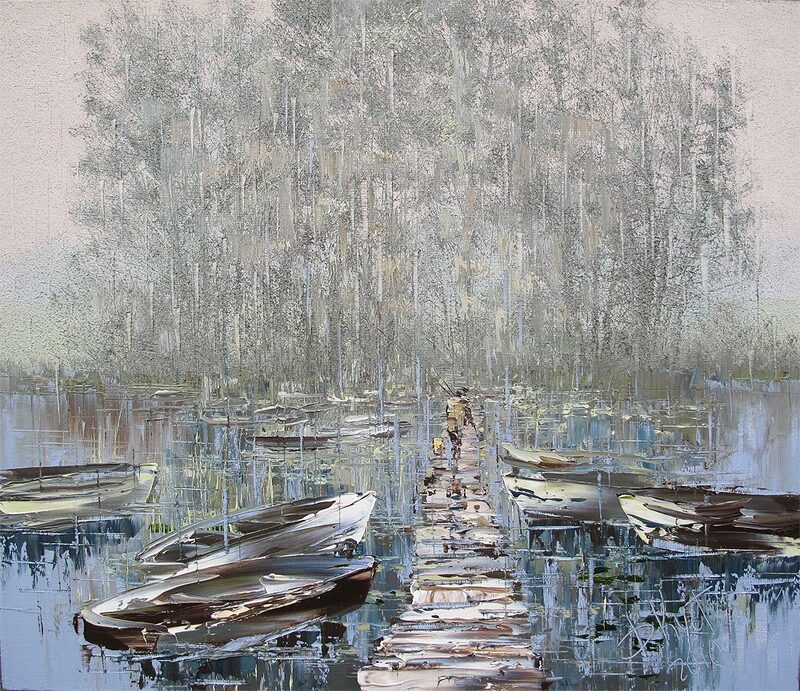 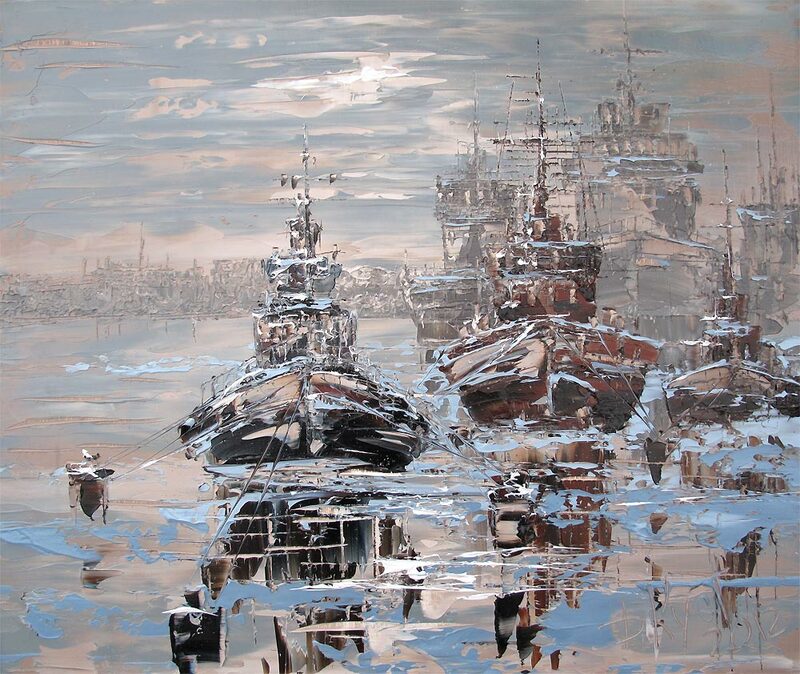 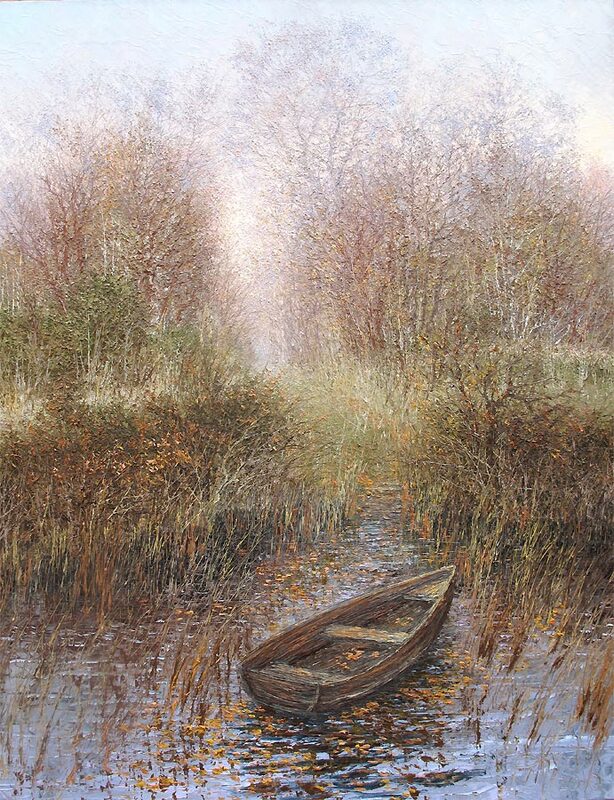 For biographical notes -in english and italian- and other works by Kustanovich see Dmitry Kustanovich, 1970 | Impressionist Palette Knife painter.